By renting one of our fastest speedboat or typical Sorrento Gozzo you can depart, with our skipper, to discover the most beautiful beaches of the Amalfi Coast, swim in hidden coves, immerse yourself in the fish-rich waters, sunbathe in total relaxation and privacy and return to the port at sunset, inebriating from the colours of the evening sky. Rent your boat for special services: Celebrations on board, group tours, corporate events, weddings and couple dates. Book your water taxi, even at night-time, to and from Positano and for all the locations of the Gulf of Salerno. With our fast boats it will be easier and more fun to arrive and leave the Amalfi Coast. Experienced sailors, at the helm of the fast boats, will accompany you on your shifts with speed and safety. Upon request, we provide day and night security guard service. Do you need information about our services? 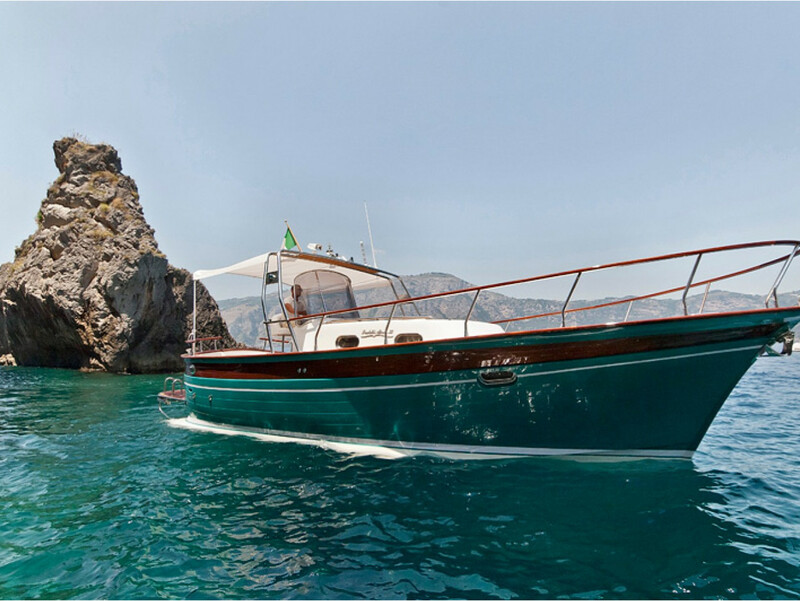 Do you want to rent a boat on the Amalfi Coast? Fill in the form and we will reply as soon as possible.